Looking at the table of top 10 movers above, we can see that the top 7 are all yen pairs, with the yen losing out in every one of ‘em. It’s therefore pretty obvious that yen weakness was this week’s main theme. Other than yen weakness, we’ve also got Aussie and pound strength as secondary themes. Okay, time to find out what was driving forex price action on these and the other currencies! The yen has been THE worst-performing currency for three weeks running now. And as strange as it sounds, the primary direct catalyst for the yen’s weakness appears to be the surprise reading for U.S. durable goods orders, as y’all can see on the chart above. Well, it’s not really all that strange. Let me explain. If y’all can still remember last week’s Top Forex Market Movers of the Week, I noted back then that climbing yields have been the bane of yen bulls, since higher bond yields tend to stoke speculation that the BOJ will put its so-called “QQE With Yield Curve Control” framework into play through unlimited bond purchases. And we did finally see the BOJ implement its new framework through two bond-buying operations last week. Well, the BOJ tried (and failed) to implement its new framework at least. Oh, for the newbies out there, the BOJ doesn’t purchase Japanese government bonds (JGBs) directly from the Japanese government. Instead, the BOJ buys ‘em with cold, hard cash from financial institutions, mainly banks. Cash purchases, in turn, generally mean printing more yen, which weakens the yen. Getting back on topic, the bond-selling spree initially took a breather this week, but resumed in earnest on Wednesday after the better-than-expected reading for U.S. durable goods orders was released. U.S. durable goods orders soared by 4.8% month-on-month in October, which is stunningly better than the expected 1.2% increase and is the fastest rate of increase in a year. This naturally improved the outlook for the U.S. economy, which then fueled demand for riskier assets (namely U.S. equities) while crushing demand for safer assets (U.S. bonds in this case). The resulting sell-off in U.S. bonds then triggered a selloff in global bonds, which crushed the poor yen. Not that I’m complaining or anything. Woo Hoo! I mentioned in last week’s Top Forex Market Movers of the Week that the Aussie dollar was the second weakest currency during that period. And the Aussie’s weakness at the time was linked to the commodities carnage back then, particularly the 8.8% weekly drop in iron ore prices. 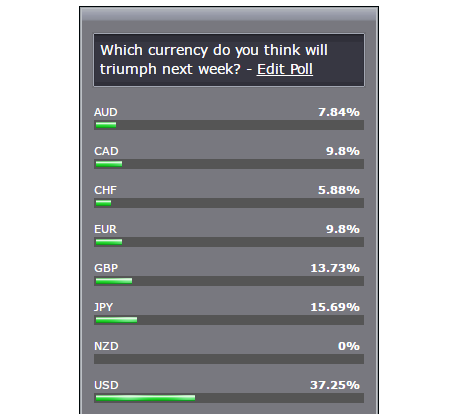 This week, however, the Aussie ended up as the strongest currency of the week. And Aussie bulls can thank the recovery (and then some) in commodity prices for that. Iron ore (62% content, delivered to Qingdao), in particular, was up by over 5% to $76.90 after dropping to $72.79. This is very goods news for Australian mining companies, spurring demand for the Aussie. Base metals, such as copper, nickel, and iron, were actually leading the broad-based commodities rally. And the standard explanation for this is that speculators are betting heavily that Trump’s fiscal policies, which includes investing heavily in infrastructure, would lead to higher demand for base metals. Of course, market analysts also offered more detailed explanations, such as China’s crackdown on speculation only having a limited effect on commodity prices, or even a Goldman Sachs note that upgraded the bank’s forecast on iron ore prices. After taking a break last week, the pound was back in action this week, ending up as the second strongest currency after the mighty Aussie. Forex Gump has actually partially covered the pound’s early price action in a write-up, which you can read here. Aside from that, May also tried to ease Brexit-related jitters by repeating her promise to trigger Article 50 of the TEU “before the end of March next year,” adding that she will do her best to get a transitional deal while the negotiation process is underway so that business and individuals “can plan with certainty” rather than going off a “cliff edge“. To those who don’t know, a Brexit would mean that the U.K. would have control over its borders again. And the U.K. wants to restrict immigration in order to discourage economic migrants from continental Europe. This goes against one of the E.U.’s four freedoms, particularly the freedom of movement of people. This therefore implies that the U.K. and the E.U. would be doing a lot of head-butting, since the U.K. for its part wants access to the single market in order to avoid a so-called hard Brexit. Verhofstadt’s hints of subtle tension and Weber’s very open hostility to the U.K. were weighing down on the pound. Although it’s also possible that forex traders were preemptively betting that U.K. Chancellor of the Exchequer Philip Hammond would deliver a disappointing August Forecast Statement. And it was mostly disappointing, as you can see below. Instead of dropping on the bad news, however, Sterling’s reaction was actually to climb higher. This can be explained by profit-taking by pound shorts. After all, pound pairs have been dipping since the Brexit negotiators gave their piece. However, the pound likely got some actual demand later on, since Hammond had some surprisingly pleasant things to say after giving the bad news. “We choose in this Autumn Statement to prioritise additional high-value investment, specifically in infrastructure and innovation, that will directly contribute to raising Britain’s productivity. Overall, a mixed statement, but forex traders apparently have a glass-half-full view this week, since they opted to focus more on the optimistic parts, which sent the pound higher. It should be pointed out that the pound’s price action became more mixed after that, with some pound pairs trading sideways. Makes you wonder whether or not the pound’s strength will continue next week, huh? Just like last week, the Kiwi came in third place yet again. And looking at the chart above, the Kiwi initially showed very promising signs of strength, thanks to the commodities rally. Heck, the Kiwi was was even winning out against the Aussie on Monday. However, demand for the Kiwi began to falter on Tuesday, so much so that the Kiwi began losing to the Aussie while trading sideways against the rest of its forex rivals. There was no apparent reason for this mysterious price action. And it gets even weirder because commodities were still in rally mode on that day. A series of earthquakes, including a magnitude 5.9 earthquake, did rock New Zealand on that day, but I’m not sure if that’s the reason since the devastating November 14 magnitude 7.8 earthquake didn’t seem to affect the Kiwi’s price action. Traders later apparently lost all interest in the Kiwi come Wednesday, since the Kiwi’s price action began to diverge, which indicates that opposing currencies, rather than the Kiwi, were driving the price action of Kiwi pairs. Again, there was no clear fundamentals-based reason for this. The Swissy was the second weakest currency after the Japanese yen. But pinning down the reason for the Swissy’s broad-based weakness is rather difficult because the only economic catalyst for the Swissy was Switzerland’s trade data, but the Swissy didn’t seem to react to it. Moreover, the Swissy’s price action was very messy (as usual). Given the Swissy’s win against the yen and losses to the Aussie and the pound, as well as the Swissy’s more modest losses to the other currencies, it’s probably safe to say that price action on Swissy pairs was being defined more by opposing currency price action. Still, the Swissy was a net loser overall. And looking at risk sentiment this week, the bond-selling that I mentioned earlier is one proof for the prevalence of risk appetite. Another is how the major global equity indices performed, and they were mostly in the green, as you can see below. It’s therefore safe to say that risk-taking was the dominant sentiment, and the risk-on vibes probably dampened safe-haven demand for the Swissy. Oil benchmarks managed to scrape some gains this week, but the Loonie ended up a net loser overall. Looking at the above chart, we can see that oil captured the bulk of its gains on Monday and Tuesday, thanks to optimism over OPEC’s planned oil production cut. However, the Loonie was unable to fully capitalize on this, since Loonie pairs had a more mixed performance. There was no clear reason for the Loonie’s reluctance, but the Loonie was last week’s best performer, so perhaps profit-taking blunted the Loonie’s advance. Anyhow, when oil began to show signs of weakness on Friday, the Loonie got dragged lower, too. And this, plus the Loonie missing out on the early oil rally is the reason why the Loonie was a net loser, even though oil was slightly in the green this week. As to what caused oil to slide on Friday, market analysts point to reports that Russia would only be agreeing to an oil freeze deal, not a production cut deal, which caused Saudi Arabia to storm off and abandon talks with non-OPEC members like Russia. Naturally, that killed optimism for OPEC’s planned production cut, since the planned production cut also included plans for non-OPEC members to reduce oil output by 500 million barrels per day. After showing strength for two straight weeks, the Greenback finally showed signs of fatigue this week, since it had a more mixed performance. The Greenback was dormant until Wednesday’s early U.S. session finally around, which is when the better-than-expected reading for U.S. durable goods orders got revealed. This surprise reading gave the Greenback a broad-based bullish boost, especially against the yen. Later on, the minutes for the November FOMC got released as well, but the Greenback barely budged, likely because Yellen already gave her hawkish speech last week. The FOMC meeting minutes do have some important things that you may wanna keep in mind when the December FOMC meeting finally rolls around, though, so make sure to check-out Forex Gump’s write-up for it here. Anyhow, the Greenback then slowly edged lower against its peers during Thanksgiving Thursday. No clear reason for the slow slide, however, other than profit-taking after two weeks of strength and a quick jump during the week. Make sure to keep an eye on the Greenback next week, though, since we’ve got another NFP Friday coming up. And this NFP Friday happens to be the last NFP Friday before the December FOMC meeting. Like the Greenback, the euro had a mixed performance this week. And also like the Greenback, the euro’s price action had some uniform movements. As I have been mentioning in the past couple of weeks, the current narrative is that Brexit and Trump’s victory are signs that populist, anti-establishment movements are on the rise. This is bad for the euro, since the Euro Zone has to deal with a potential Italeave and Frexit. But at the same time, it’s good for the pound, since focus is shifting to uncertainty in continental Europe. As a result, the price action of pound and euro pairs have become somewhat inverse. Anyhow, the euro started the week on a weak footing when Theresa May’s speech sent the pound higher while causing most euro pairs to tumble. The euro then traded mostly sideways after that before getting hammered across the board when Hammond presented the Autumn Forecast Statement to the U.K. parliament. After that, the euro began trading roughly sideways again until the week came to a close. The 7.84% of ya who voted for the Aussie are probably feeling pretty smug right now. And the same can probably be said for the 13.73% who voted for the pound. Unfortunately, 15.69% of ya voted for the Japanese yen. I only hope you were able to limit your losses or even switch bias completely during the course of the week. Anyhow, now that you know what the likely drivers were this week, and having taken a look at the forex calendar for next week, which currency do you think will come out on top next week? Vote in the poll below!